Doggie Latchkey can transport pets safely throughout the state of Michigan. Whether your dog needs to go for a bathing session or your cat requires a vet visit, we can help make sure they get there on time, and safely. Our pet transportation service insures you won’t have to worry about scheduling things at a time when you’re off work; we can do the running around for you! The next time you need to take your pet somewhere, consider calling us. Learn more about our pet travel services below. 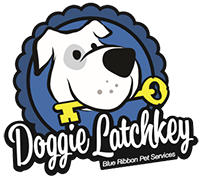 Doggie Latchkey is insured and fully prepared to safely transport your pet to vet appointments, groomers or other locations upon request. We provide “taxi services” throughout Michigan. We use a car harness specially designed for dogs to secure your pet during travel. Pet owners with small dogs and cats should provide their crates for safe travel if that is the preferred method. We find that many people like to take advantage of having a taxi service available! As an additional value, when you coordinate your pet sitting visit with the taxi service, there is no extra charge for the pet sitting visit! We provide this as an “extra” for our valued clients. Please call to schedule a ride in advance so we have time to fully prepare for your pet’s transportation needs. Also, feel free to contact us if you have any questions or concerns about how we safely transport your pet from one place to another. We are always happy to provide the details for your peace of mind. Call to schedule a pet taxi!